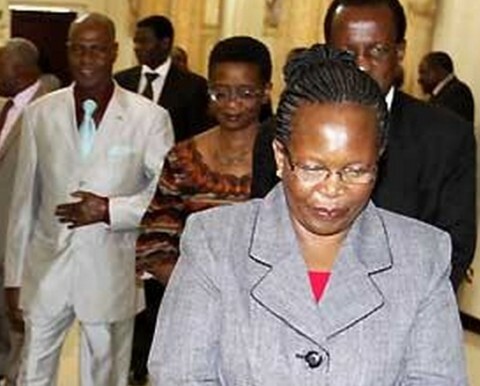 Justice Irene Mambilima is presiding over the most corrupt Judiciary in the history of post Independent Zambia. The Chief Justice has failed the people of Zambia. Whereas a lot of corruption allegations have been leveled against senior Judges in the Judiciary, she has shielded and defended such Judges. One case in point is the Savenda V Stanbic Bank. In this matter, there is written evidence of corruption involving the Judges that presided over the case, but the chief Justice has given a blind eye. Reasons best known to herself. We have written to her Lordship to take action, but she has blantantly refused. A lot of money is alleged to have exchanged hands, and is still exchanging hands even this time around just to suppress Justice, all under the watch of her lordship the Chief Justice. We are aware that this rot in the Judiciary has been going on for a long time now. There are Senior Lawyers, Judges, Magistrates and other Court Officials who have gotten rich because of this long standing practice of bribery. Judgments are bought in our courts. There is no Justice for the poor. The future of Zambia is at crossroads. Many of us as Citizens have taken up this case because we love our country. There is overwhelming evidence of corruption and bribery in the Savenda Case, which for the sake of Jurisprudence, we cannot allow to stand. There is need for Zambians to unite and save the Judiciary. It is either the Chief Justice is forced by lawful means to vacate office or she amends her ways. For the sake of our children, let’s unite and rise above partisan, religious or otherwise interests to address this matter. It is unfortunate that investigative wings of govt are just watching. Civil Society organizations have reported this corruption to these institutions, but they are not moving. A few days ago, the Chikondi Foundation, through the Chairperson, Bishop John Maambo, reported the Judges to the Drug Enforcement Commission (DEC), we are yet to see their response. Otherwise we are in trouble. The Chief Justice ought to allow her subordinates cited in this case to be probed. She needs to suspend the Judges and allow for a tribunal against them. But why is her Lordship scared of subjecting her subordinates to justice? People are misconstruing this whole thing. Citizens are made to speculate. If anything citizens will begin to think that the Chief Justice was also a beneficiary, when perhaps, in fact not. We shall not allow this matter to die. Those that think we have forgotten, are dead wrong, we are now more organised and more resolved. Yes we are aware of the threats on our lives, yes we are aware about what money can do. We are not daunted. Our interest is to ensure that justice is meted out.